The Spring's premier sporting event should be enjoyed on the golf course, not on the couch. 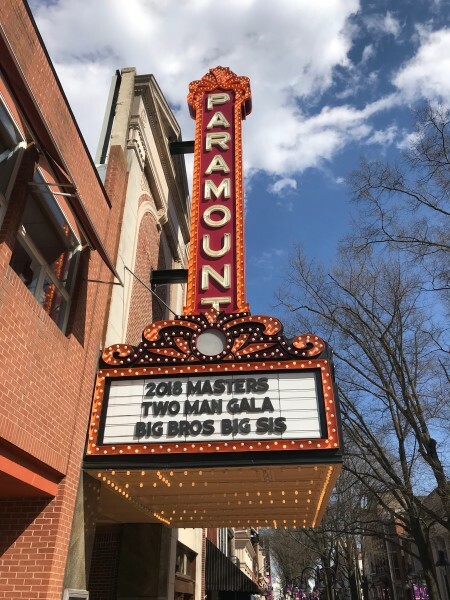 Presenting: The Annual Masters Two-Man Tournament and Private Viewing Party, designed by J.R. Hadley, sponsored by Worldstrides and benefiting Big Brothers Big Sisters of the Central Blue Ridge. Golf Tournament held at Old Trail Golf Club. Beverages and snacks will be provided to golfers, and two carts will go around the course during the tournament. 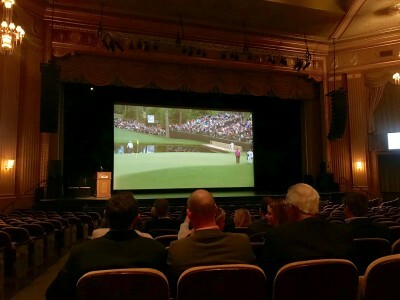 Complimentary dinner and drinks, Award Ceremony & Private Masters Viewing Party at the Paramount Theater. Grand Prize: Green Jackets for this year's champion team, and prizes for the top teams (Categories: Men, Women, Mixed). $100 entry fee per individual (includes guest ticket for Private Viewing Party), $50 for Private Viewing Party only. Checks written to BBBS. Tournament Format: Each two-man team will be paired with a golfer competing in the Masters! New this year, women's flights have been added (with women's tees). Your team's best ball score will be combined with your pro golfer's score for the day. Interested in Sponsoring the event? Questions about how to register? Contact Eleanor Hoppe. Check out this video from last year's event!